This week, whilst meeting with Iranian counterparts, Alexei Pushkov, the Chairman of the international committee of the Russian State Duma lower parliament house said their delegation in Iran were meeting about issues in relation to economic cooperation. One more in a consistent line of foreign officials discussing potential for increased trade is bolstering the outlook for trade with Iran. Import and export opportunities have been building up over recent months in the lead up to the deadline for discussions on sanctions on Iran by the so-called ‘Five +1’. Itar Tass reported that Pushkov said: “Trade between Russia and Iran is not as big as might be”. 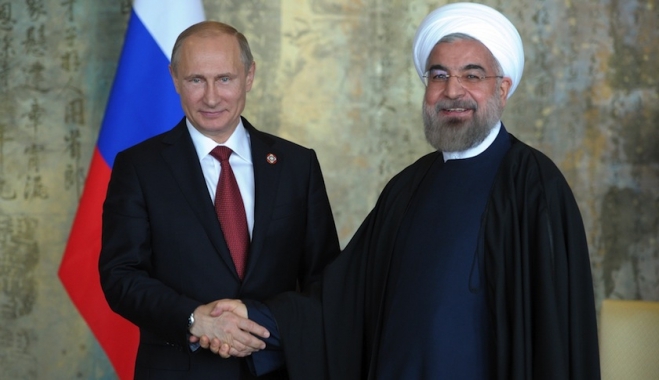 He estimated that currently Russian trade with Iran stands at about 1.7 billion US dollars. “Some experts say it can be increased to three billion US dollars in the next few years,” he said. This echoed a senior Iranian politician, Ali Larijani who also said on Monday that he considered the level of trade, investment and economic cooperation with Russia “insufficient.” In particular, discussions regarding Iranian import and export opportunities were not yet being discussed enough at a higher political level in Iran to progress the two sides’ negotiations. Pushkov declared that the two countries were discussing a deal: “oil in exchange for good”. He acknowledged that the agreement was not being implemented as quickly as each wanted, but “nonetheless it is being realized,” Pushkov said. Whilst some objective obstacles, it is in the interests of both countries governments to pursue the deal and resolve sticking points. Pushkov struck an upbeat note at their meeting. While on a working visit to Teheran, Naryshkin met with his counterpart, Iran’s Parliament Speaker Ali Larijani and former President of Iran Ali Akbar Hashemi Rafsanjani. Larijani referred to “sincere and friendly” inter-parliamentary ties between the two countries. “…our countries are engaged in a regular dialogue on regional developments,” Larijani told Sergey Naryshkin, a Russian State Duma Speaker. These high level meetings represent another step towards closer ties between the two countries which go beyond economic co-operation. “…we have similar or concurring opinions on most regional and global issues of the international agenda,” Naryshkin said. He added that “from the standpoint of ensuring regional security, Iran plays a very significant role”. Each share problems including: terrorism and crime.